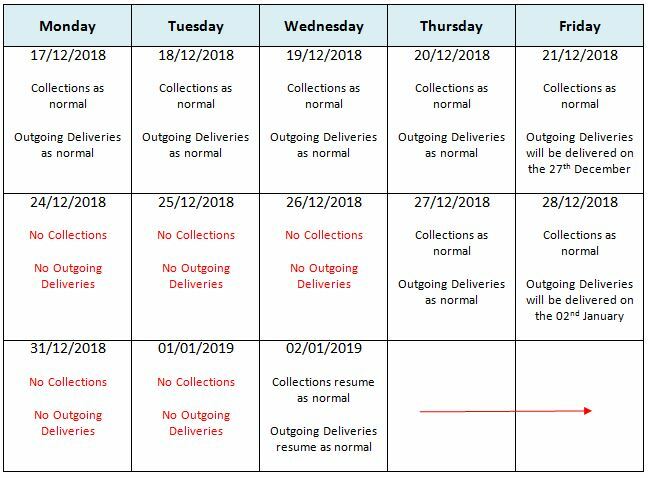 Please see the table below for our Christmas and New Year delivery and collection days. If your normal collection day falls on a working day your samples will be automatically collected as usual, however if your normal collection day falls outside these days please let us know your alternative collection day by emailing orders@2030lab.com or calling us on 01604 6608811. If you are not sampling over the festive period please also let us know so we don’t send the courier unnecessarily. Click here to download the full PDF letter. © Copyright - 20/30 Labs Ltd 2016. UKAS accredited testing laboratory (No. 4236). UKAS accreditation is limited to those activities described on our UKAS schedule of accreditation.